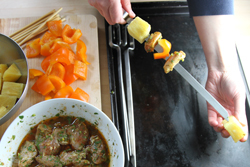 Transport yourself to a beach at sunset with these colorful kabobs. With a touch of spice from the Serrano pepper, the marinade used on these kabobs is well balanced with zingy lime juice and bright cilantro. The flavorful chicken pairs well with mouthwateringly-sweet grilled pineapple and slightly charred orange peppers. Easily scale this recipe when serving a crowd. 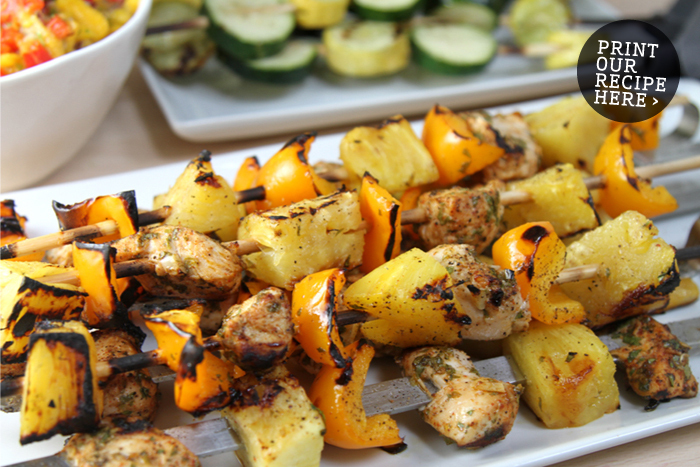 These healthy and tasty chicken kabobs are certain to be a party pleaser all summer long. 1. 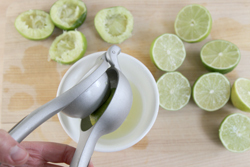 Mix all of the marinade ingredients together in a small bowl and stir until combined. 2. 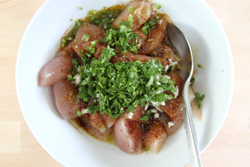 Cut the chicken into 2" pieces and add to the marinade. Cover and refrigerate. Marinate the chicken for 1-4 hours. 3. 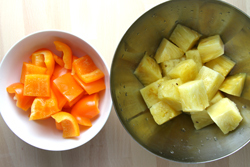 Prepare the pineapple and pepper cubes. 5. Prepare the grill until very hot. Make sure the grilling grate is clean and oiled. 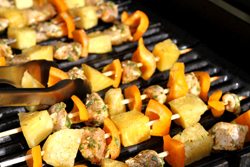 Grill the kabobs for 2-3 minutes on each side until the internal temperature of the chicken reaches 165 degrees F.